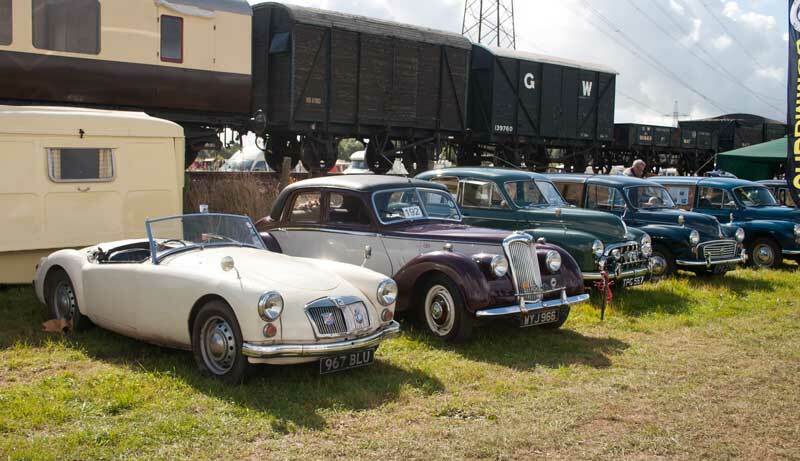 To start, nearest is an MGA, then a 1952 Riley 1.5 RMA, a 1953 Morris Oxford and two Morris Minor Travellers - with the heritage goods train behind them. A different view of the Oxford - which has spent 25 years laid up in a barn - and the Travellers. 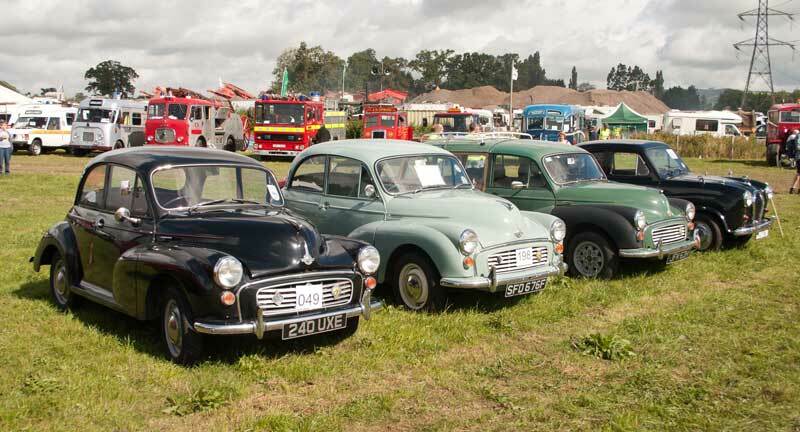 Three Morris Minors and an A35, 240UXE is used as every day transport. 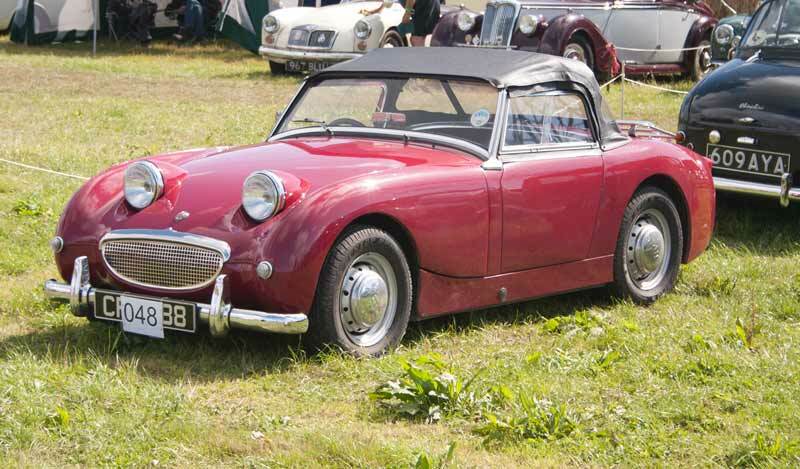 A 1959 Austin Healey "Frog Eyed" Sprite which belongs to the wife of the owner of 240UXE above - it's been to the Isle of Man this year. 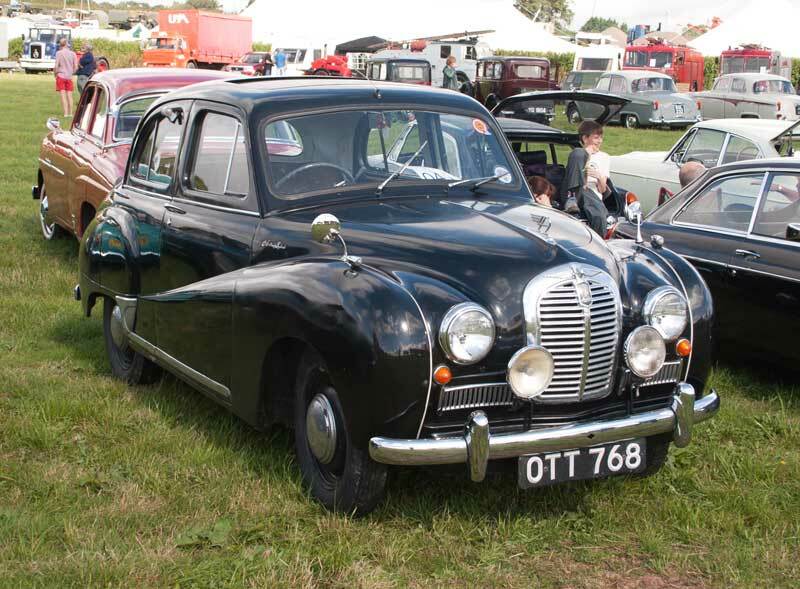 I saw this at Gartell Steam Fair the previous weekend. 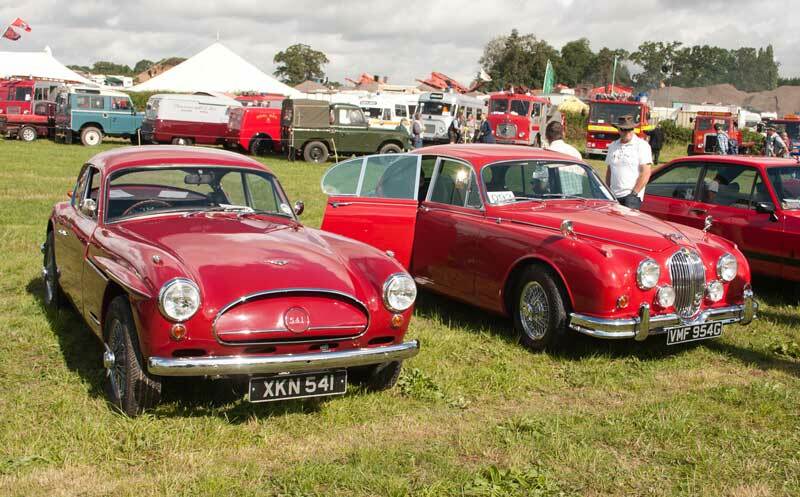 1956 Jensen 541 3995cc with an appropriate registration, the first British car with 4 wheel disc brakes: and a 1968 Jaguar MkII 2.4 - hard to chose which I'd rather have! 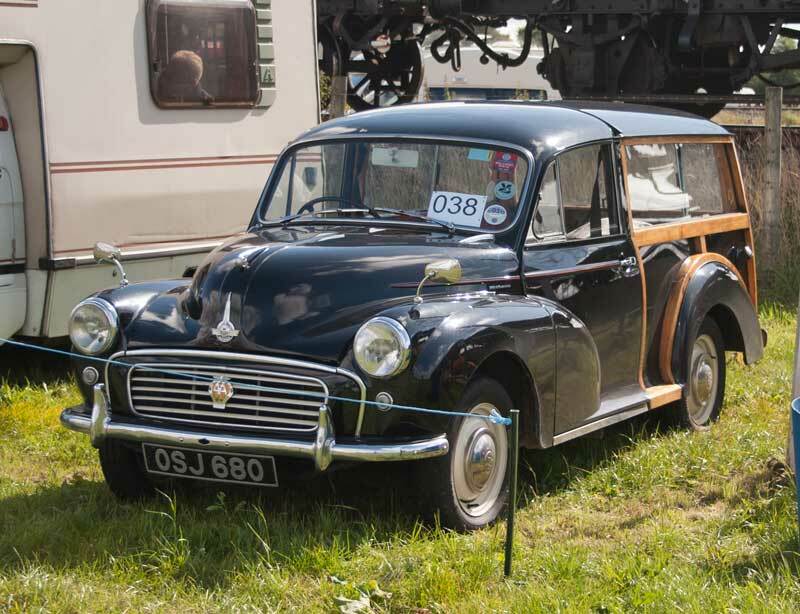 A Morris Minor Traveller, lovely old cars! 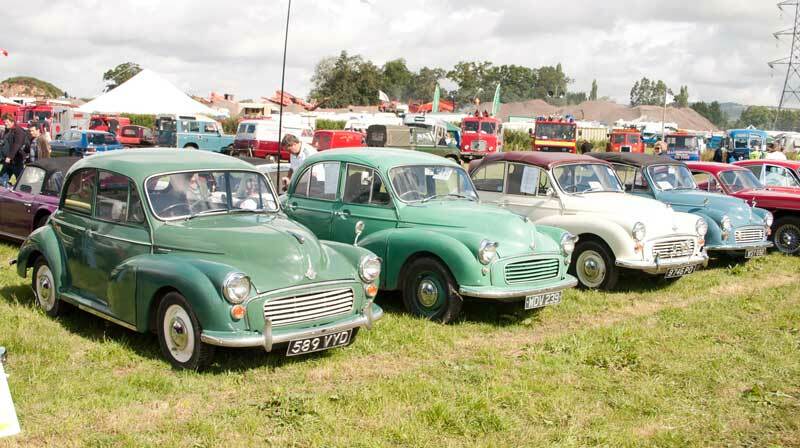 Four more Morris Minors, a 2 door, a 4 door and 2 convertibles. 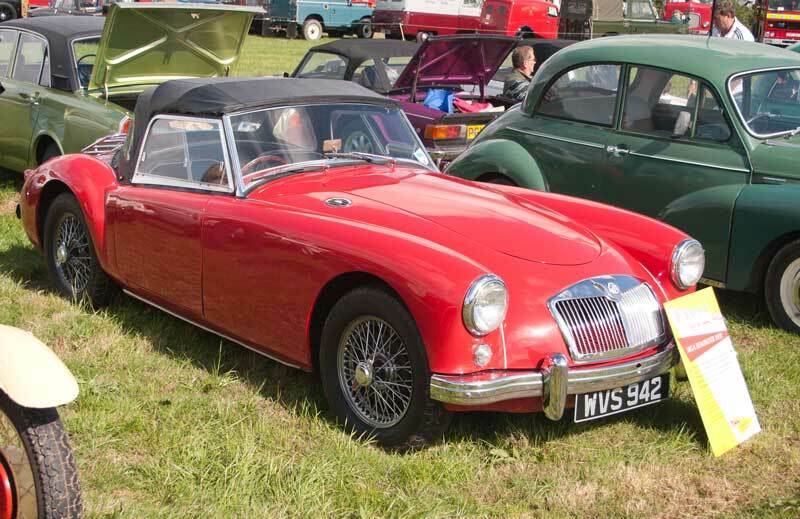 1958 MGA 1500 which went new to South Africa, coming back "home" in 1969. 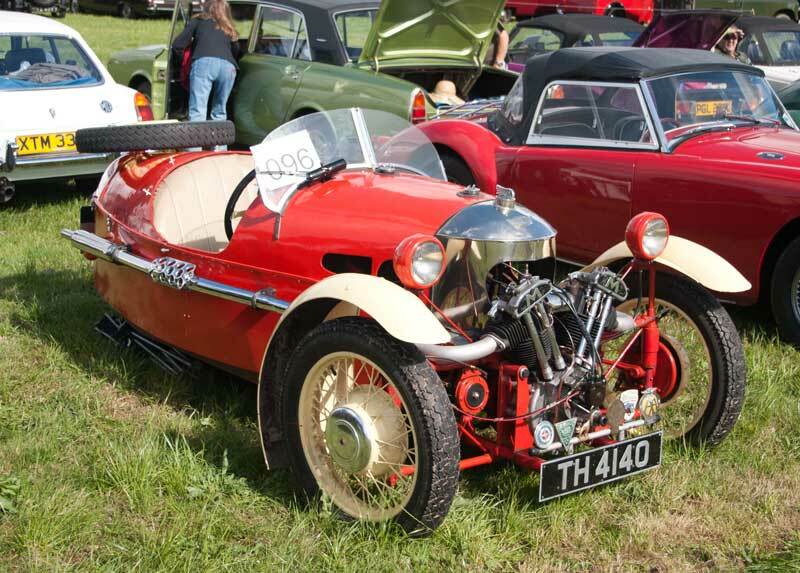 1934 Morgan Super Sports with an air-cooled vee twin engine. 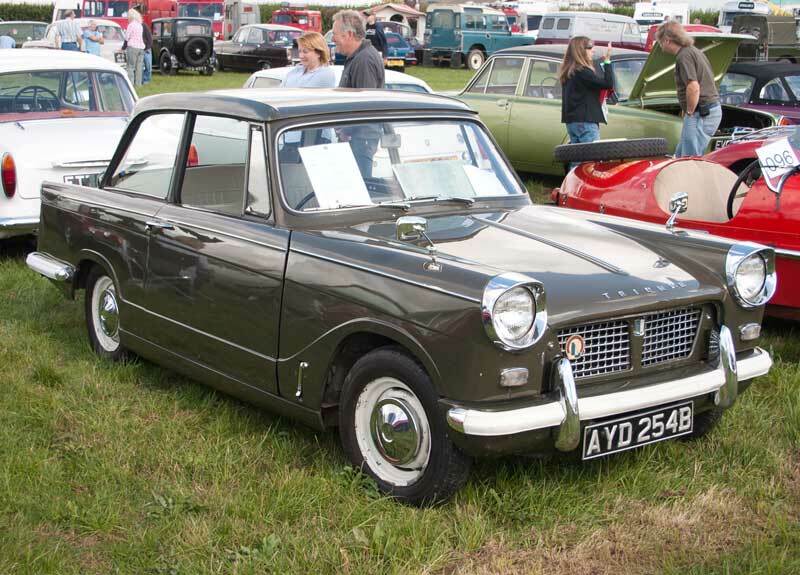 1964 Triumph Herald, these had an amazingly small turning circle. 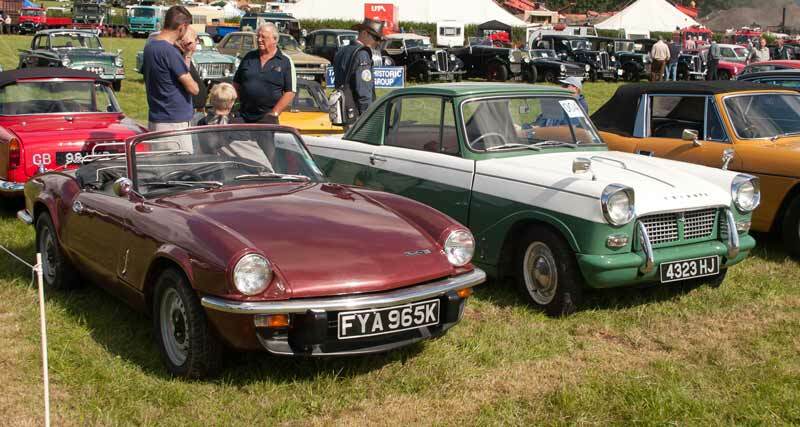 L to R 1970 MGB GT, a Triumph TR5 and another MGB GT. 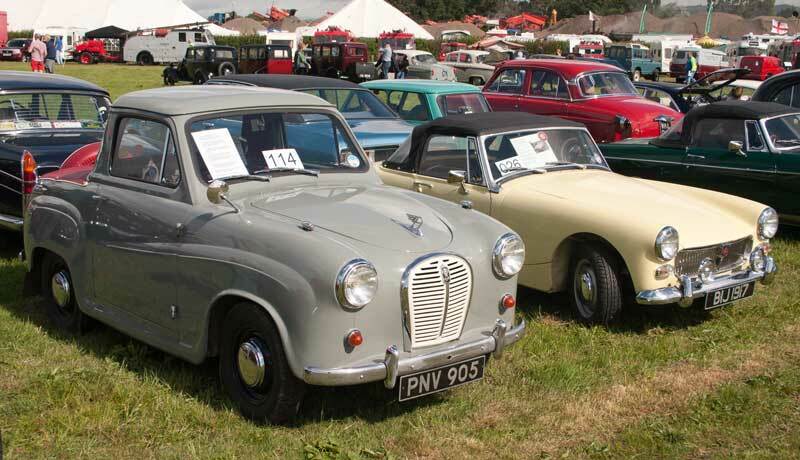 1956 Austin A35 Pick-up - only 475 of these were made - and a 1969 MG Midget. 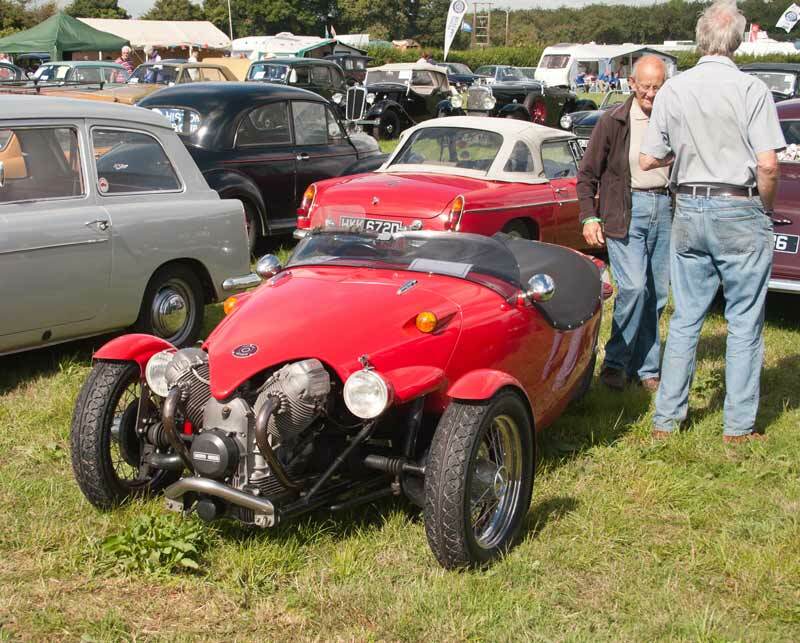 1983 Blacktack Avion-Guzzi 950cc kit car based on a Citroën 2CV and Moto-Guzzi motorbike - it is believed to be unique! 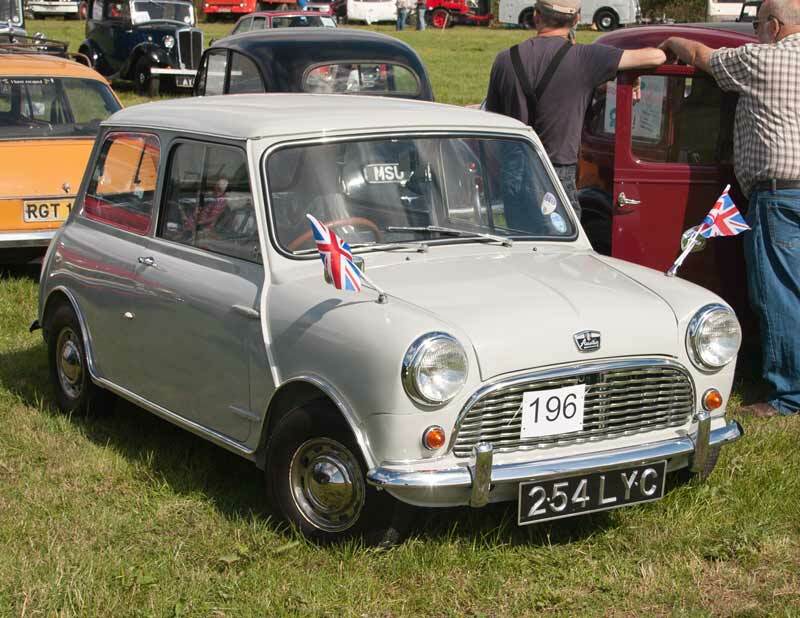 1961 Austin Mini Seven - how small they seem today. 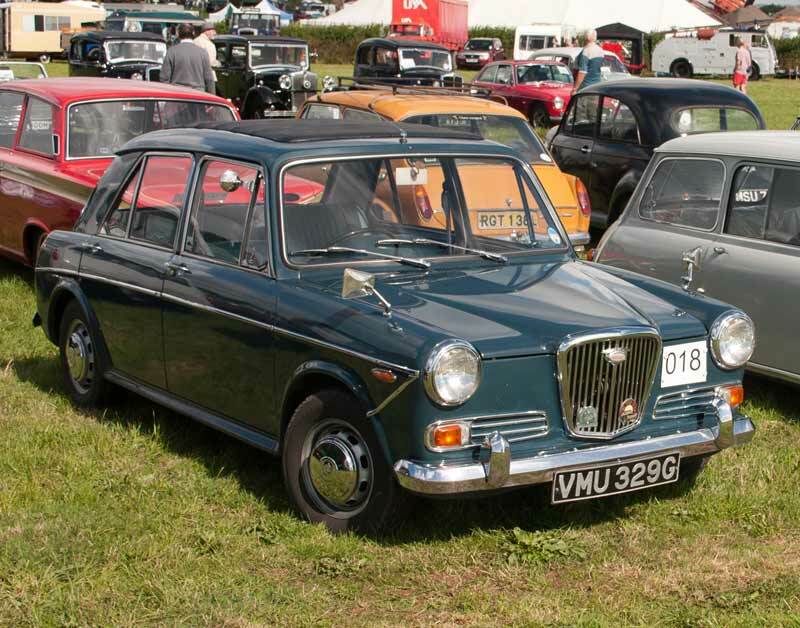 1968 Wolseley 1300, the slightly up market version of the Austin/Morris versions with a twin carb engine. 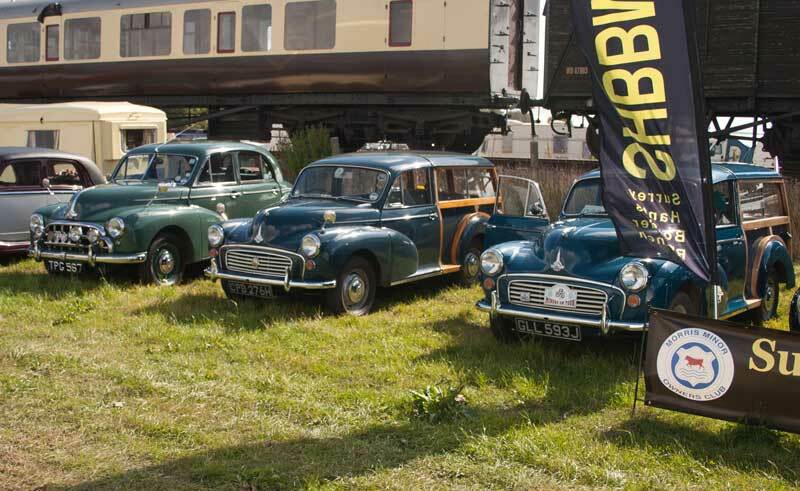 1966 Morris Minor Traveller with the Wolseley 1300 and the Austin Seven. 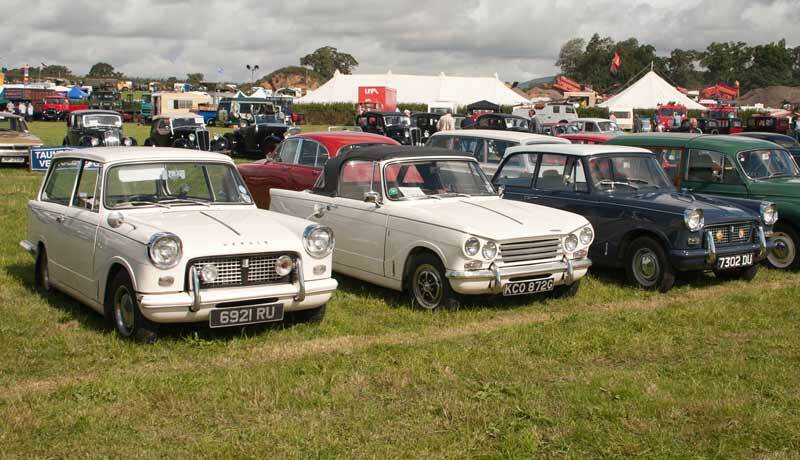 1963 Triumph Herald Estate, 1968 Triumph Vitesse - a Herald with a 2 litre 6 cyl. 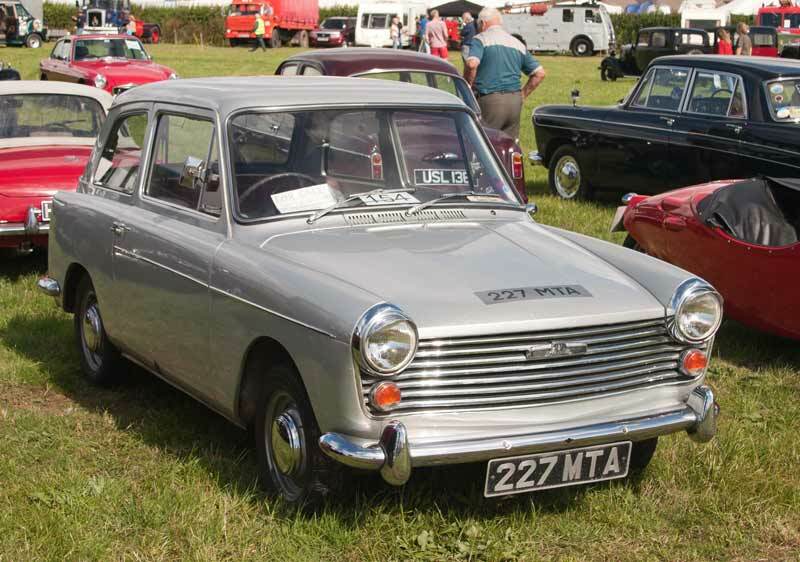 engine - and a Herald Saloon. 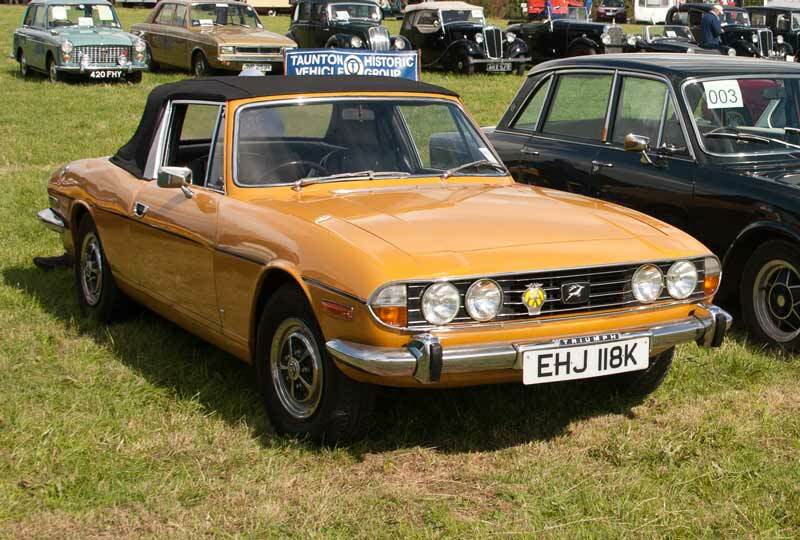 1972 Triumph Stag, with its 3 litre V8 these were great cars. 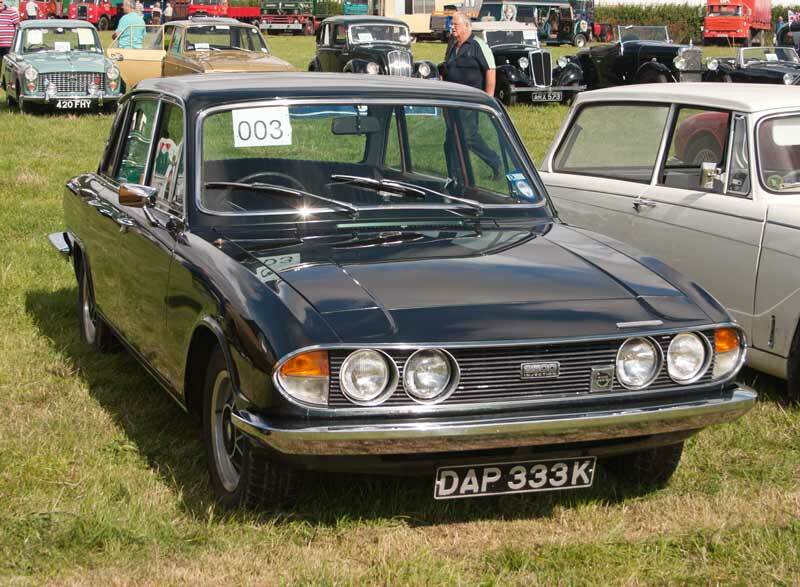 1972 Triumph Spitfire - based on a Herald chassis with uprated engine - and 1960 Triumph Herald Coupe 948cc.